So, when I was moving, I found a BUNCH of colors I didn't remember buying. This is one of them. I honestly have no idea where I found it or when I bought it. I think it was when I was on the quest for the perfect pink polish? It comes pretty darn close... Take a look! 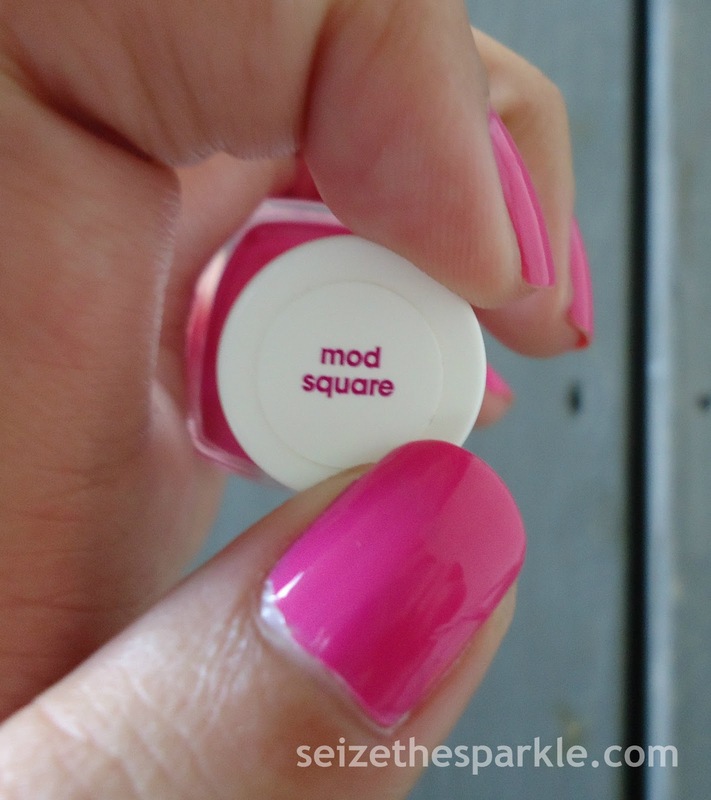 Mod Square is a bright pink creme that is seriously very close to being thee perfect pink. I've had it on for 4 days now, and I'm still loving the color. It's a slightly blue-leaning hot-pink with a super shiny crelly finish. It's like the pink cousin of Turquoise and Caicos. 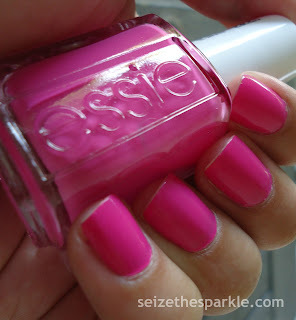 Essie uses this finish in a LOT of their polishes, and I'm definitely a huge fan of it. 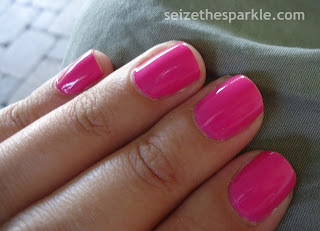 It's just that slight bit of squishiness that you get from a jelly polish, but still opaque enough to be a creme. Mod Square might not be the most unique shade of polish, but it's a super pretty color, and I really like it! Cheery, Summery, and Pink... Incredibly fitting for this time of year!!! 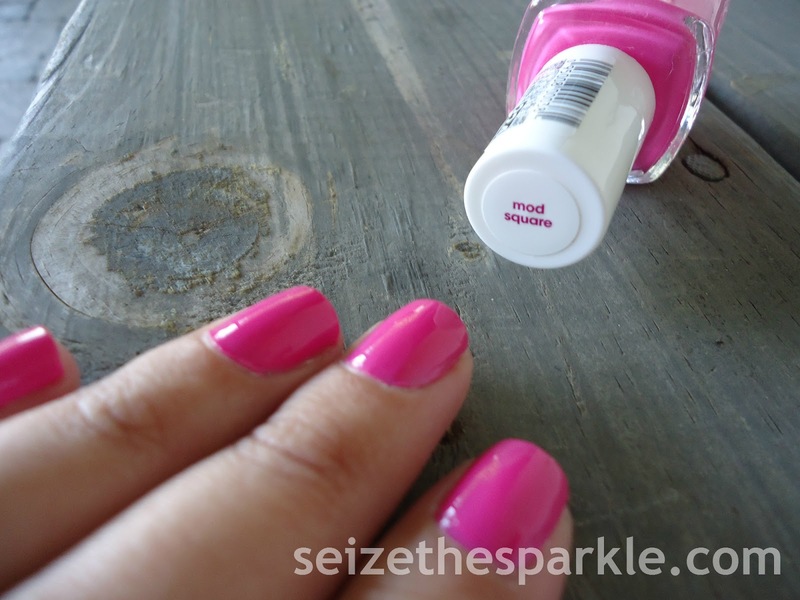 Would you wear Mod Square from Essie?! ?